Update your bookmarks aviation fans: HartzellEngineTechnologies.com is now Hartzell.aero. Our sister company has launched a new, more customer focused, website. The first thing users will notice is that the site is beautifully designed for both desktop and mobile devices. That is important, of course, as more Internet users switch to browsing the web on their phones and tablets. However, the new design wasn’t what caught the eye of the Hartzell team. We live and breath aviation, so we were most excited that the site now references products and components from Plane-Power, which was recently acquired by Hartzell Engine Technologies. Seeing these products integrated into the Hartzell family of brands is a milestone that reminds us how quickly HET is rising to prominence in the industry. 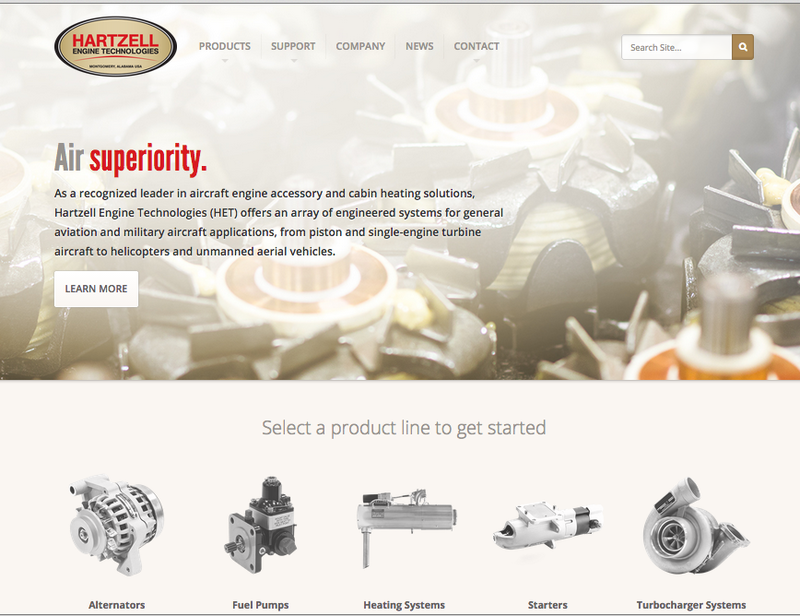 Congratulations to everyone at Hartzell Engine Technology on their overhauled site. The Hartzell Propeller team is excited to see what the future holds for their company.